Before America Singer met Prince Maxon . . .
Before she entered the Selection . . .
She was in love with a boy named Aspen Leger. Don't miss this digital original novella set in the captivating world of Kiera Cass's #1 New York Times bestselling Selection trilogy. 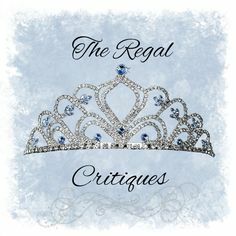 This brand new 64-page story begins just after the group of Selected girls is narrowed down to the Elite and is told from Aspen's point of view. 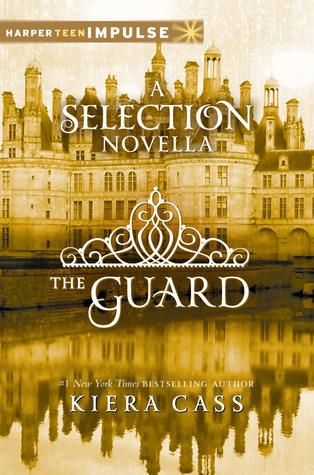 The Guard also features a teaser to The One, the thrilling conclusion to The Selection trilogy. “She clung to him, song after song, staring into his eyes they way she used to stare into mine.” - I guess this should make me feel sorry for Aspen, it does not and here start my problems with this book. If Kiera Cass's intention was to make the readers love, like or just accept Aspen more, she totally failed. I started The Selection series with actually liking him but after he gave up on America so easily I was disappointed. Despite that I was looking forward to this book because I thought that in The Guard Aspen would be amazing, we will see into his mind and get why he did what he did. You know half of the readers are mad at Maxon because of Celeste so Aspen will come and win a lot of fans (back). Boy, was I wrong! - He is so annoying, he always refers to America as my girl, even in the first part of the book where they weren't even together! - He is so uppish. Maxon has tons of mistakes I can see that, but if he actually did something good or didn't do anything bad, even then Aspen hated him and couldn't see that maybe in some cases Maxon was better to America than himself. - I was freaked out in The Elite when they started seeing each other (especially after what happened to Marlee), but in this book it came out more clearly that even Aspen had a little doubt about if they could get caught. I don't know about you, but if I love someone or in love with someone (like in theory Aspen with America) I don't want to risk the physical integrity of that person just for a little fun. - The lack of feelings. The only thing Aspen felt was pride when America did something good, but even then I felt like he was more proud of himself to have America than of her for doing something amazing. The whole head over heels in love thing didn't come through. - He was always comparing himself to Maxon, and in his opinion he always won (except if it came to money or title...) he started wondering and then came to the conclusion that he is better than anyone. The only thing that made me give 2 stars was the excerpt from The One. I need that book now!! If America chooses Aspen over Maxon I'm going to be super angry at Kiera Cass. I love this series and if Aspen wins America that would ruin the whole trilogy for me... I wouldn't read it anymore knowing that in the end America will be with this jackass. I recommend it to the fans of Aspen (maybe not even for them).